Unless science fiction is spelled syience fyction, owners of the popular television network need some serious spelling help. 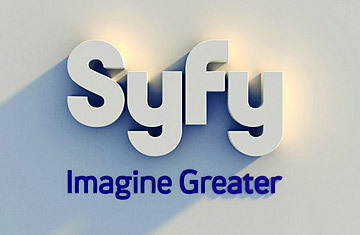 The channel announced in early July 2009 it had decided to rename  er, respell  the channel SyFy. What was the point? Execs argued that Sci Fi was the name of an entire genre, not a channel. "We couldn't own Sci Fi," former president Bonnie Hammer said. "But we can own SyFy." It could also have owned Sy Figh, Sigh Fae or SaiFai, if it wished. Read "How to Make Science Sexier." See a recap of 1950s sci-fi movies.